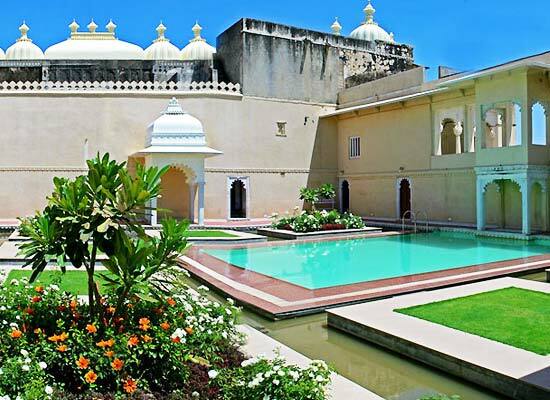 "Located at a distance of 94 km from Udaipur, Sardargarh fort is one of the best heritage hotels of Rajasthan, boasting of a magnificent structure. The fort hotel is placed amid thick forests and the hills of Chuppun. The fort was built by one of the most powerful Dhodhia rulers, Sardar Singh, between 1738 and 1743. It has tales of valor, mystery, romance and royalty to recite. The 21 suites at the heritage hotel are extremely luxurious and have wonderful interiors. The on-site restaurant can meet all your food needs. The rooms, passage systems, stores, halls and granaries have been kept intact from the original times. The Sardargarh Fort was built during 1738 to 1743. The magnificent fort was built by Sardar Singh, who was regarded as one of the most powerful from the Dhodia clan. 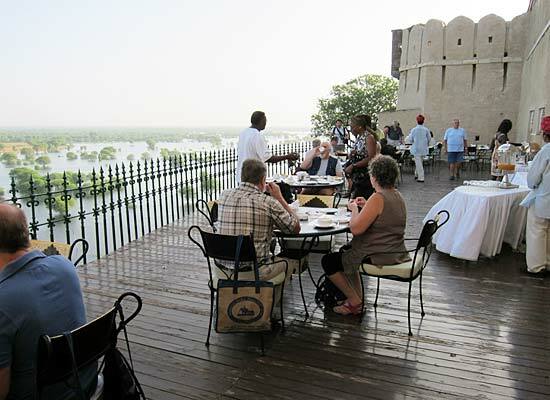 This extravagant fort is now one of the leading heritage hotels of Rajasthan. 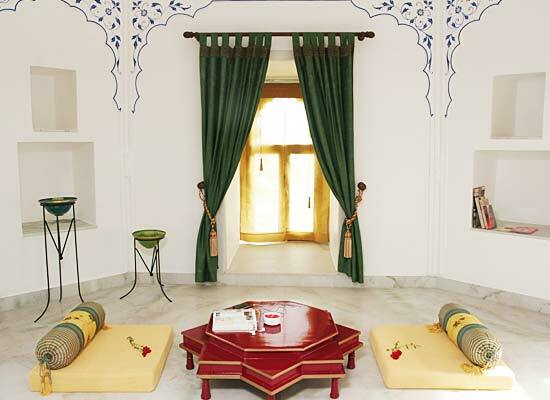 Sardargah heritage hotel has 21 suites in the Zenana Mahal. Each suite is named after the Queens who stayed here during the medieval times. The color palette of each suite is also inspired from the favorite colors of the Queens, on which it is named after. Along with the mantles, the pillars, and the doors, most of the elements in the rooms have been kept intact. These queens were the brides of the family of Sardar Singh. Out of the 21 suites, 18 are on the ground floor of the Janana/Ravla portion of the fort and 3 are on the first level. 13 suites come with a verandah that has a swing, facing the courtyard. While 6 suites come with a balcony window that offers the view of Manohar Sagar Lake, the other 6 overlook the Sardargarh village. 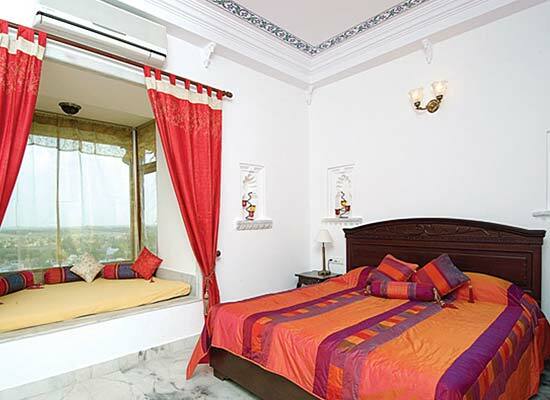 2 of the suites come with an additional octagonal sitting area offering the village view and the other 3 offer the views of the quarters of the princes- the Kunwarpada. 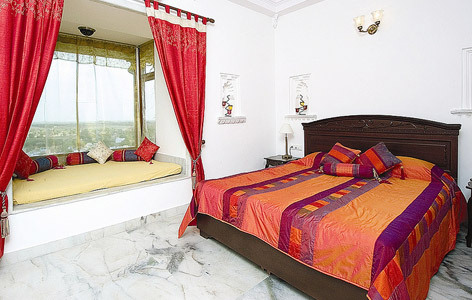 1 of the suites overlooks the Kush Mahal, and the other 2 offer the swimming pool view and come with twin accommodation. The other contemporary conveniences include 21 inches TV with satellite connection, mini bar, round the clock room service, split air-conditioner, king size beds with spring mattresses, telephone, tea/coffee maker and so on. Named after an artificial lake created in the 17th century by Rana Raj Singh of Mewar, Rajsamand is known for its fabulous marble, granite, precious and semi precious stones. It is also close to many Jagirs, which are small territories granted by the ruler to an army chieftain.